- Release a "live" concert on iTunes, Apple Music, Spotify, & more. - Get great sounding live recording to help you book more shows! Get a PRO mix with our affordable rates! Contact us for details! Live recordings are a great way to build your catalog, promote your music, sell more music, excite your fan base, and keep your social media hopping with your music. 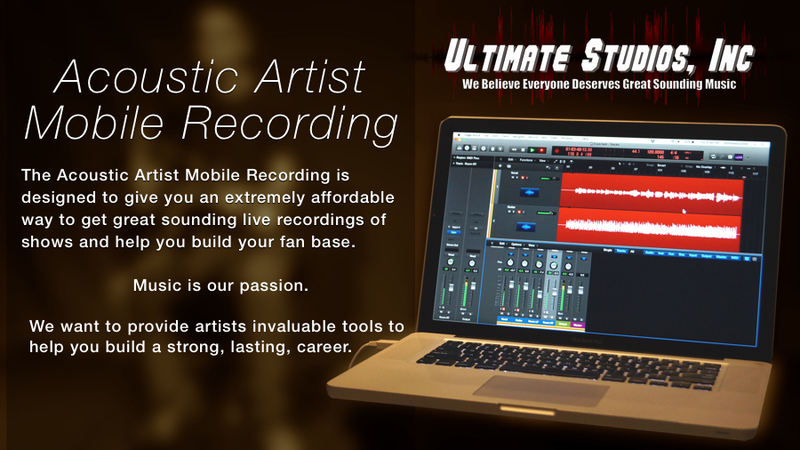 We have extremely affordable rates for 8-24 track recording. Full packages including microphones, stands, etc.. also available on request. Do you perform acoustic shows? 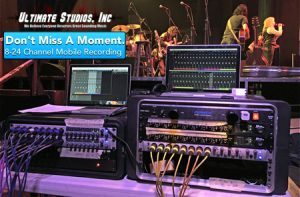 The Acoustic Artist Mobile Recording is designed to give you an extremely affordable way to get great sounding live recordings of shows and help you build your fan base. We understand that recording your music can be an expensive endeavour so we have a special deal for artists performing acoustic shows. 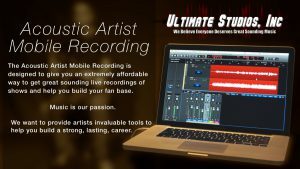 This is a great opportunity to get high quality recordings of your songs. Sell 'em, share 'em, and use 'em to book more shows. You need recordings and we can help you out!